If Zynga's recent push to go public is any indication, scaling up a business quickly -- and successfully -- is an art. Zynga, the fast-growing maker of wildly-popular online video games such as FarmVille and CityVille, filed for an initial public offering this morning, seeking $1 billion. This is in addition to the more than $500 million in venture-capital funding the company has raised since it launched in 2007. Back in early 2010 when Zynga CEO Mark Pincus delivered a keynote presentation at a Vator.tv event, he said the company had grown with lightning-fast speed in 2009 -- jumping from 181 employees and about 34 million monthly unique visitors in the first quarter to 564 employees and 235 million unique visitors by the end of the year. For anyone who needs the translation: That's a crazy amount of growth to manage in a short amount of time. 1. Have a mission and set values early on. Articulate to your employees where the business is headed, and set values everyone should commit to as a community, and in turn hold each other to in order to set the business on that path," Pincus said. "As your company gets bigger and you don't know everyone's names and you want them all to work together and play nice, having the values actually makes sense. It's not some big, weird corporate thing," he said. When a company starts to get larger and hiring becomes less a function of the entrepreneur, it can be important to have a human resources person or team who can seek out people who want to grow along with the company. "The stronger the people are that you bring in, the more they demand that you live up to what you're talking about," Pincus said. "Empower people, make them accountable and hold them to it." When your staff swells to 100 people or more, trying to manage everyone and every project can be exhausting -- if not downright impossible. 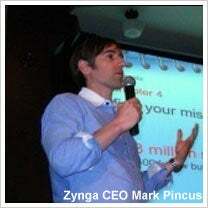 Pincus said to set goals and priorities for yourself as well as your employees. "You may know the priorities, but other people working for you might not," he said. "Stay organized and don't let things fall through the cracks." What's your top strategy for staying focused while scaling your business? Leave a comment below and let us know.